A new Defense Intelligence Agency report concludes that the U.S. should continue to develop space-based capabilities to keep its advantage in the space domain, the Department of Defense reported Monday. The “Challenges to Security in Space” report deals with the efforts of Russia and China to challenge the ability of the U.S. and other countries to use space. 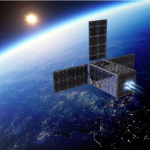 Those efforts include the development of space-based intelligence, surveillance, and reconnaissance services, cyber space and jamming capabilities, ground-based anti-satellite missiles, directed energy weapons and space surveillance networks. To challenge militaries, North Korea and Iran are developing space-based services with jamming capabilities. “Iran and North Korea maintain independent space launch capabilities, which can serve as avenues for testing ballistic missile technologies,” the report noted. DIA officials told reporters at the Pentagon on Monday they're anticipating countries such as Russia and China to develop technologies designed to counter U.S. space capabilities.